Hiromitsu Shinkawa and his wife had survived the massive earthquake that rocked Japan, and they escaped from the wreckage of their home relatively unscathed. That’s a stroke of good luck under normal circumstances, but not when you consider what happened to Japan. 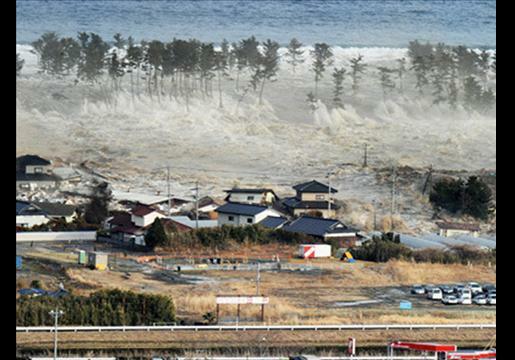 While they were picking up the rubble of their home, the city of Minamisoma, Japan, was smashed by a massive tsunami and the couple were swept away. Hiromitsu Shinkawa was found floating on the roof of his home, 10 miles out to sea; his wife was swept away by the storm. It’s a miracle story of survival, yes. The fact that Hiromitsu survived the tsunami by surfing the wave is incredible, especially when you consider he was riding a chunk of roof. Still, the fact that he lived while his wife was swept away has to be pretty heartbreaking. I imagine Mr. Shinkawa might not be as relieved as he might have been had he and his wife survived the double catastrophe.